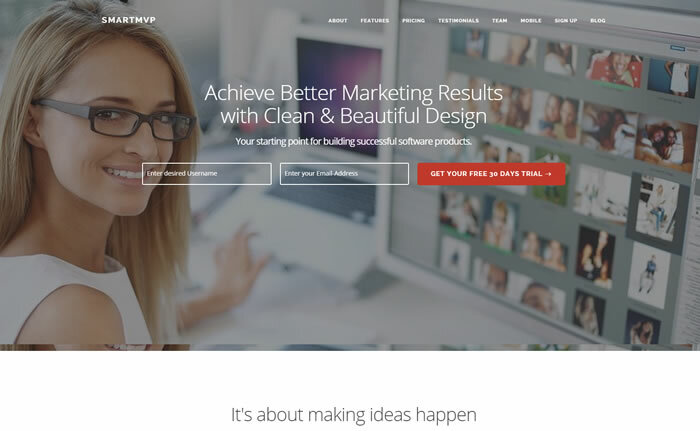 SmartMVP is ultra modern startup one page landing page WordPress theme suitable business, email subscription, lead generation, affiliate and promo websites. 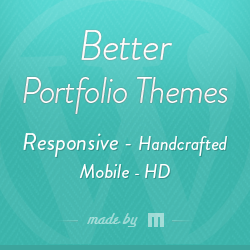 Its 100% ultra responsive, retina ready WordPress theme designed using bootstrap 3.2 framework. SmartMVP is easy to customize WordPress theme built with plenty of beautiful colour schemes, enabled with tons of powerful elements and integrated with MailChimp newsletter subscription plugin. SmartMVP landing page WordPress theme built with custom made page builder helps you to design your website with ease without no coding skills. Its parallax enabled premium landing page WordPress theme, supports with fullscreen header slider / YouTube video, drag n drop gallery management and enabled with 1 click XML demo content import via theme options panel. SmartMVP is child theme friendly wordpress theme able to translate you website in any language using .PO and .MO file bundled with the theme. SmartMVP is very modular, one column landing page WordPress theme built based on full OOP (object oriented programming). Its cross browser compatible, search engine friendly theme fully compatible with WordPress 4 and above versions.